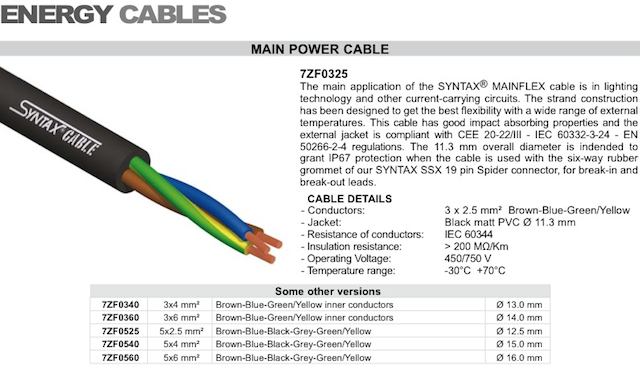 Developed for high-standard professional applications in rigorous environments. 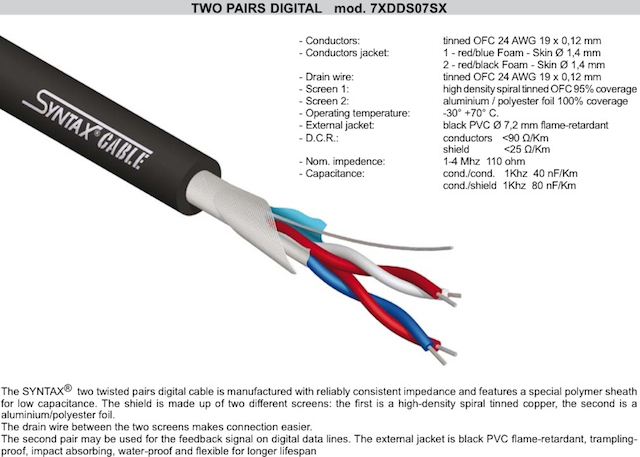 Single pair, two twisted pairs and multi-pair cables. 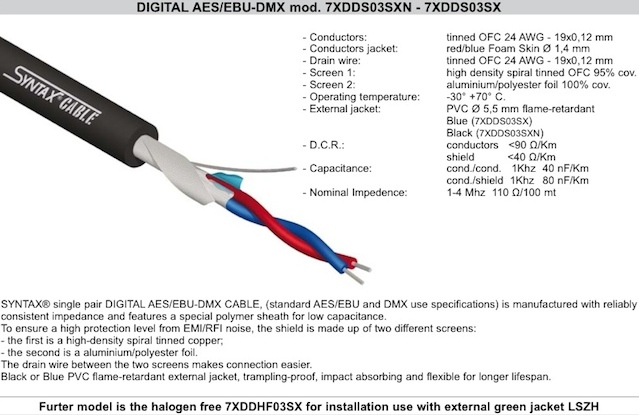 These cables have been designed per the AES/EBU specification. 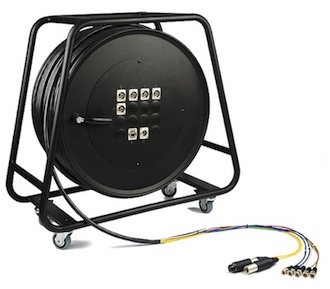 Includes ruggedized CAT5E & ruggedized CAT6 Ethernet designs, built exclusively to transport digital audio and critical networking protocol. 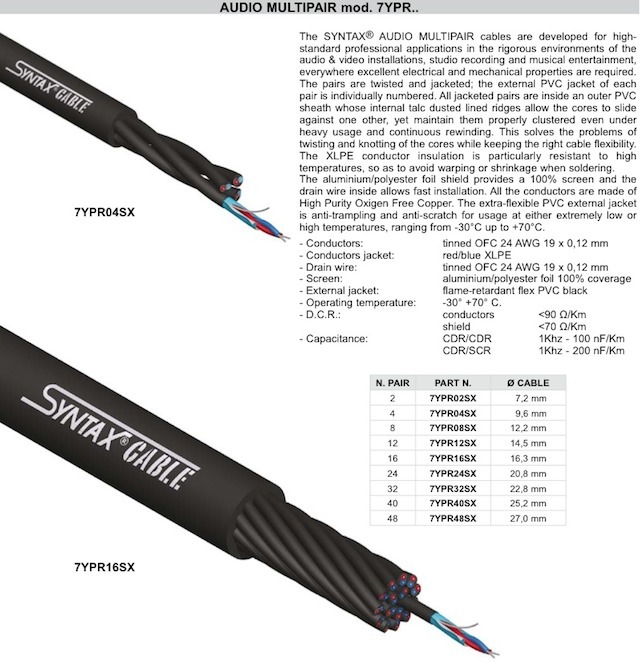 Overview of SYNTAX Ethernet part numbers. Review Digital product range. 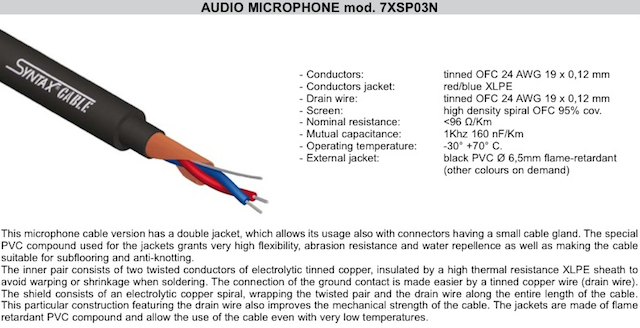 Multipair audio interface cables (2 - 48 pairs), crystal-clarity microphone, audio fixed installation and rich sounding instrument cables. Durable, reliable, long lasting designs. Review Analog product range. 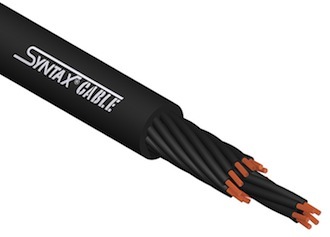 One cable to better manage multifarious mission-critical, show-stopping signals. 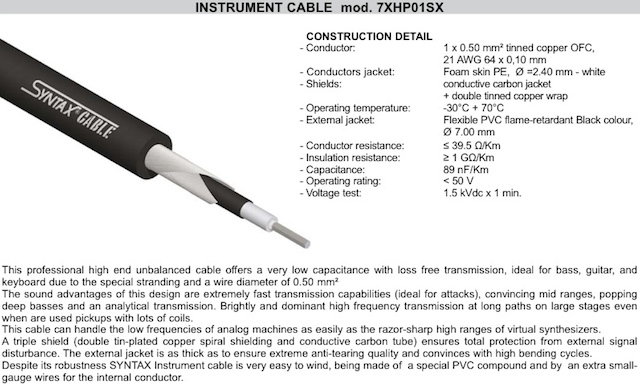 Versatile, suitable for parallel controls for light mixing boards. Also used in analog audio cabinets. Review Hybrid product range. Clarity and balance of sound, high conductivity and brilliance to cover the full dynamic range of sound. 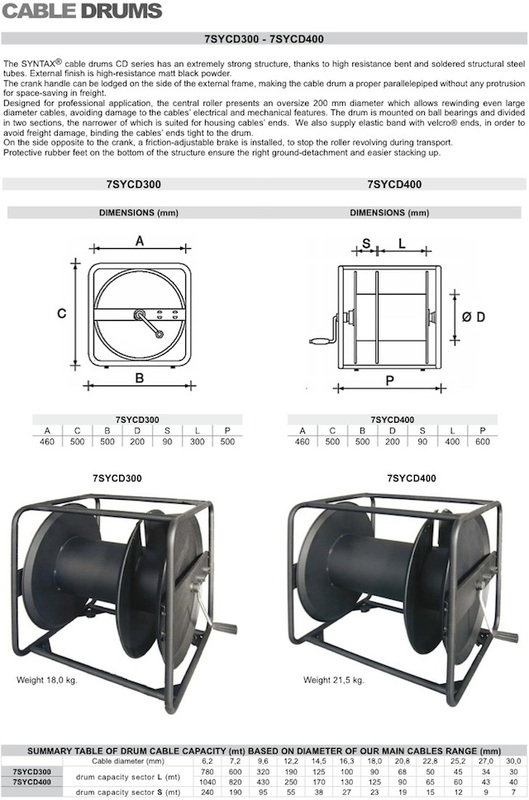 Review Speaker Power product range. Flexible and easy to handle. 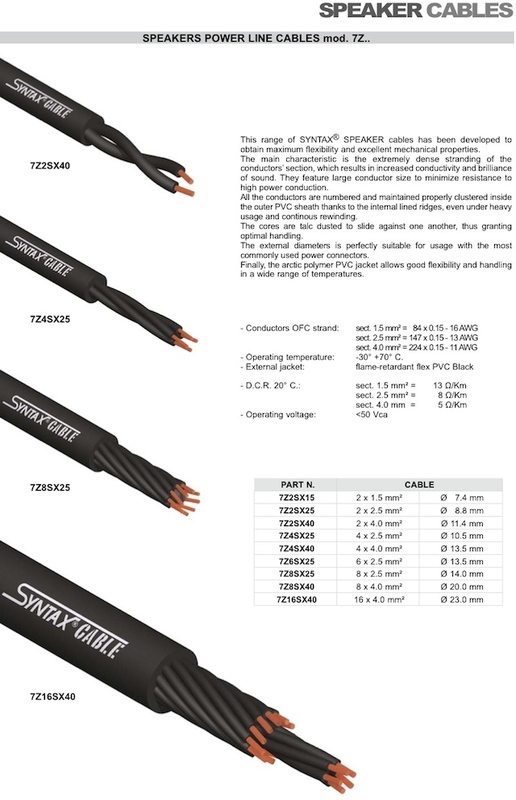 Professional cables for lighting (12/19), audio and video technology. The best choice when winding operations are intensive. 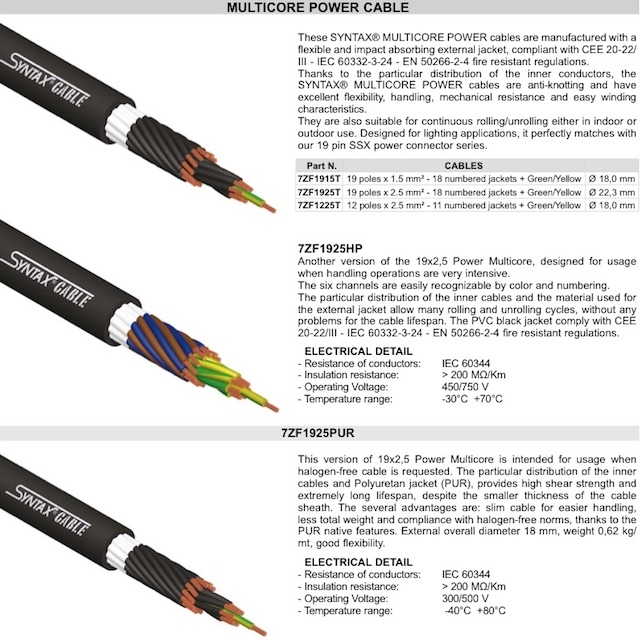 Review Main Power product range. 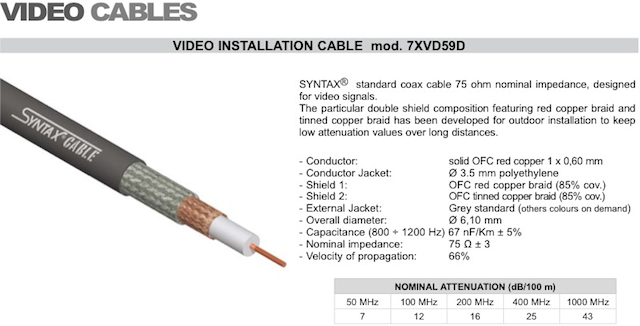 Designed for standard or high definition video signal. 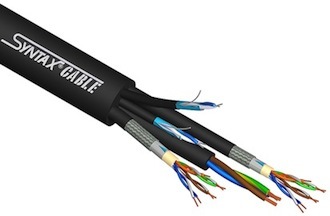 All copper construction enhances signal strength, while high-density shielding protects the signal from outside interference. 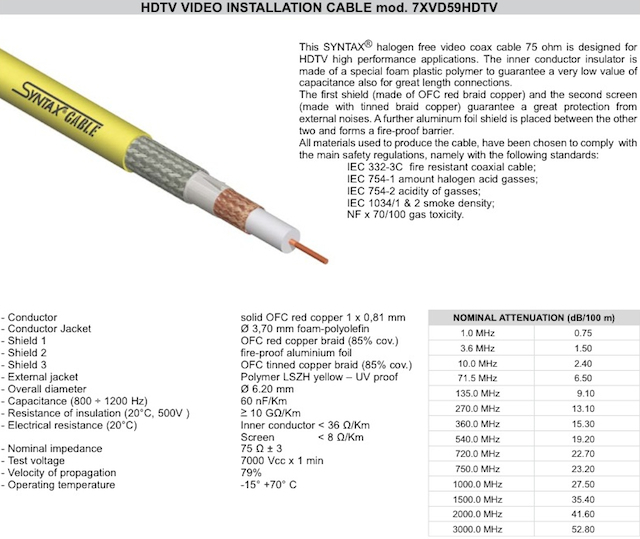 Review Broadcast product range. 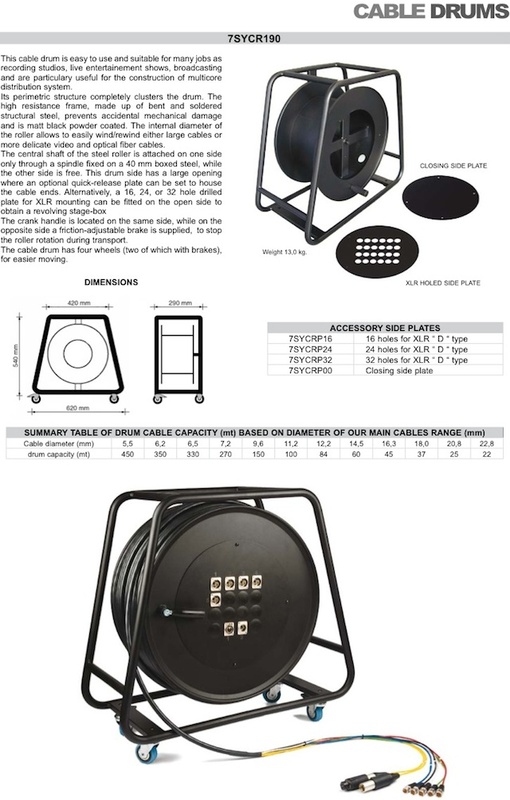 We enlarged the internal diameter of the drum to make it extremely functional and to prevent your cables from damage caused by winding. Less mess... less stress! Multiple I/O panel options. 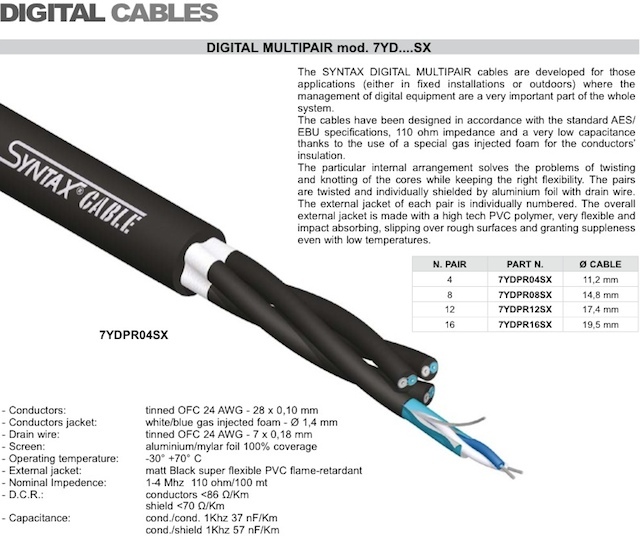 Review Cable Drums product range.